Samuel Betancourt went to work at his first job about a day and a-half after removing his cap and gown from Thaddeus Stevens College’s 2014 commencement. 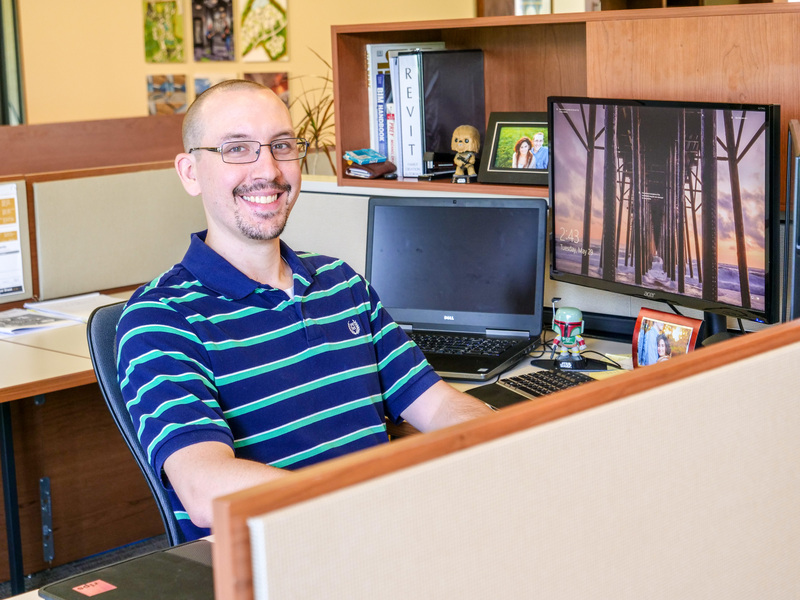 After another 18 months, he took a new job at RLPS Architects, and he’s loved his career since then. Samuel is not alone. He’s one in a long line of Stevens alumni—currently, he’s one of 14 on staff—to join the RLPS team. The connection runs all the way back to George Lower, ’65, who started as a draftsperson with Haak & Kaufman and worked his way up to becoming partner by the time the firm changed its name to Reese, Lower, Patrick & Scott in 1982. He’s still the “L” in the RLPS, even though he’s retired and the firm is up to 14 partners. 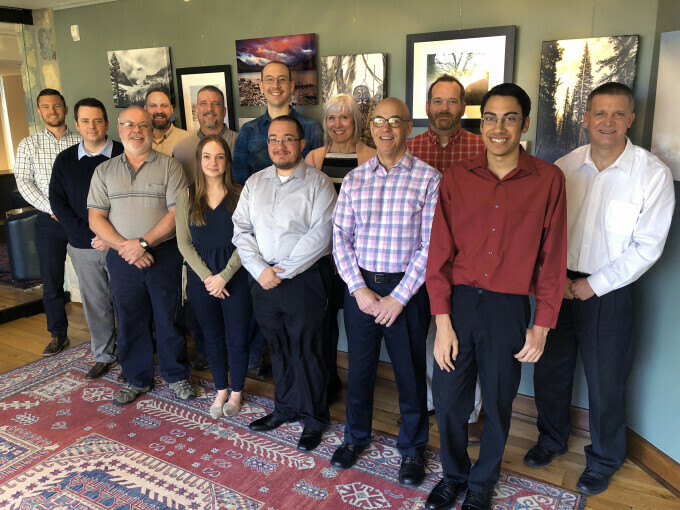 Dropik says Stevens graduates combine two key skills the firm is looking for: experience using Autodesk Revit, the industry standard software for modeling building designs in 3D, and a technical knowledge of how buildings are put together. “I can’t think of anything that someone from Stevens doesn’t do for us,” Dropik says. And he would know—Dropik is the partner most responsible for building teams to execute the firm’s projects. Alumni provide detailed drafting services, produce computer-generated renderings, conduct in-field building surveys, as well as help with construction administration work. Take Justin Martin, ’06, for example. 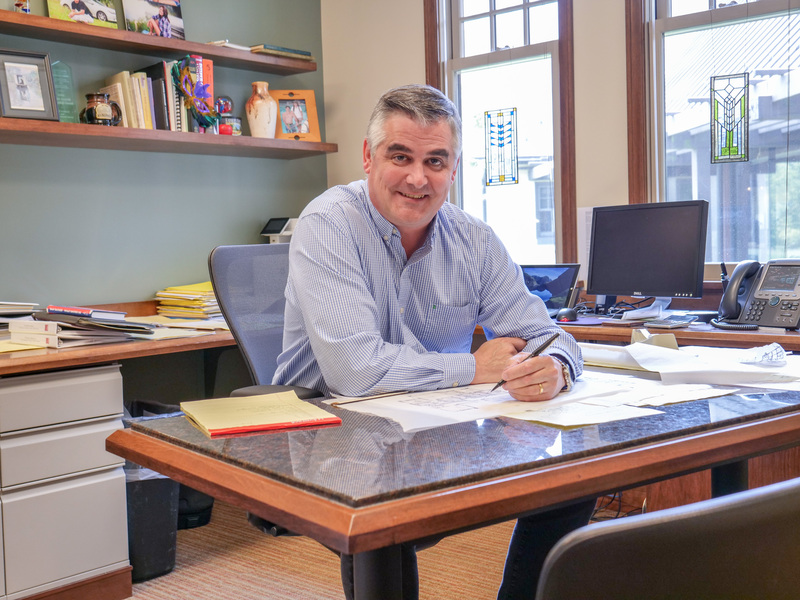 Colleagues say he’s one of the most accomplished Stevens grads at RLPS, and he’s done “a little bit of everything” for the firm, including drafting, Revit, IT, 3D technology and 3D printing. In fact, he developed a test the firm now gives to new employees to determine their proficiency with the firm’s software. He’s even done a few stints as an adjunct faculty back at his alma mater. Some grads, like Lisa Cowen, ’00, become registered architects, which today requires at least a five-year undergrad program or a master’s degree. Cowen spent seven years driving to Drexel University twice a week before earning her license. Her license, combined with her experience in corporate architecture at Fulton Bank, makes her one of the firm’s top interior architects. 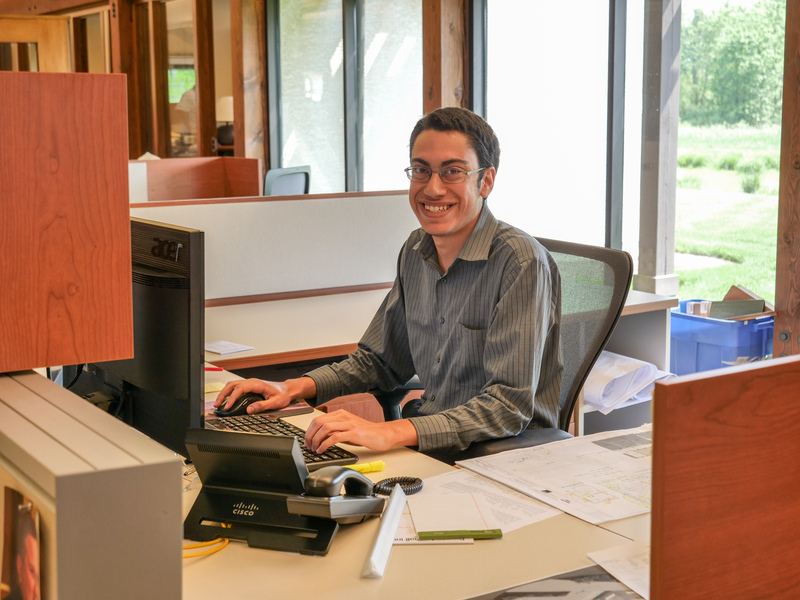 Samuel Betancourt is one of the younger employees at RLPS, but he’s already making a name for himself for his work in 3D modeling. In addition to technical training, Stevens also changed his life. RLPS has grown by a third since moving into its new facility almost five years ago, and it’s hiring now. The partners say Stevens will continue to be one of its top feeder schools. 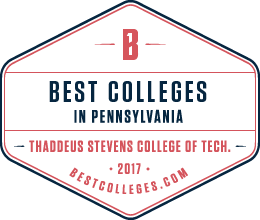 Thaddeus Stevens College of Technology is consistently ranked as Pennsylvania’s best technical college and awards associate degrees in 22 high-demand, skilled occupations. 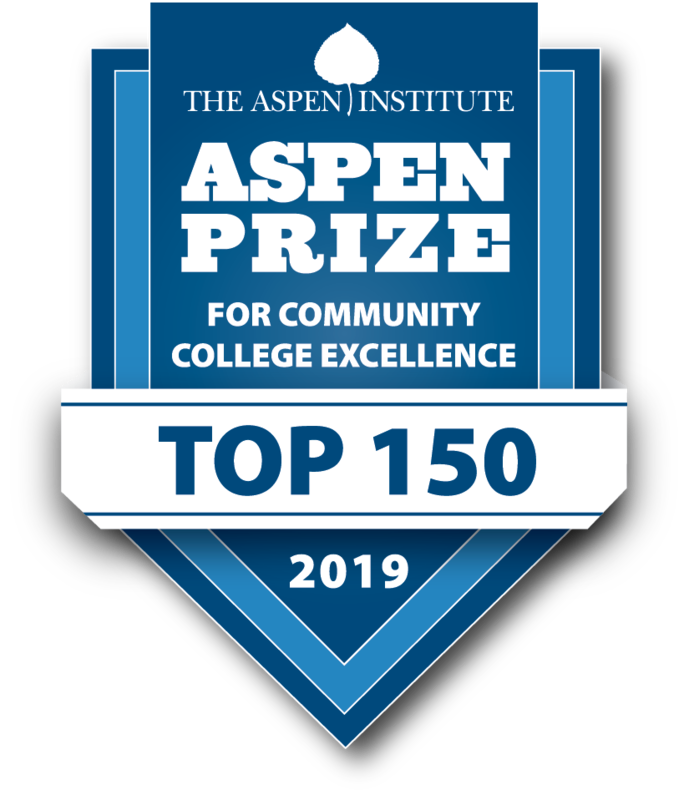 A full listing of programs is available at www.StevensCollege.edu.